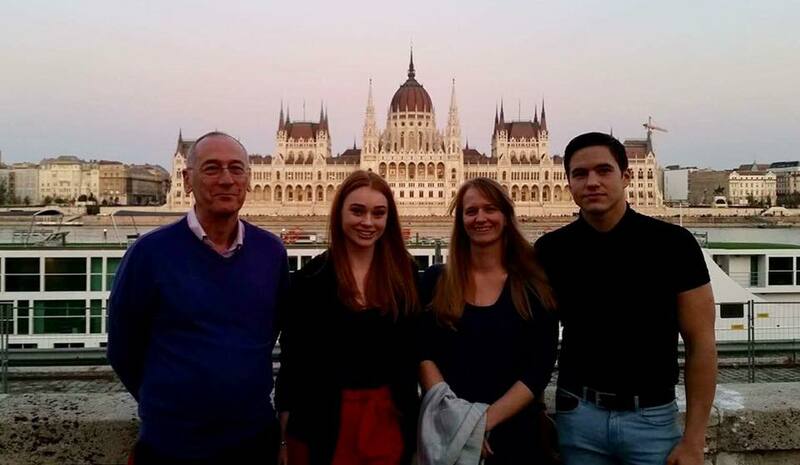 Home » News » Southampton Success in Budapest! 02/10/2017 - Southampton Success in Budapest! 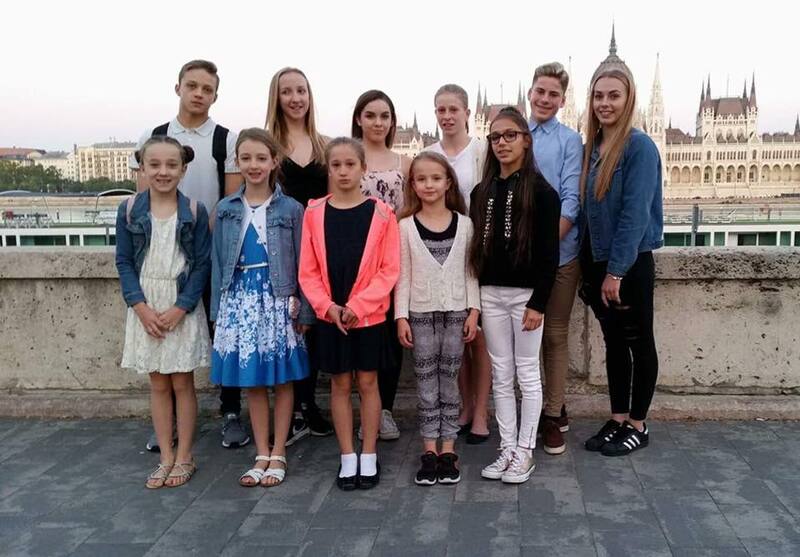 Eleven of our gymnasts made history this weekend competing in the inaugural Budapest International Acro Cup. After strong performances in the qualifiers on Saturday, all five of our partnerships made it through to finals day on Sunday. Sunday arrived and the Youth category was up first, we had three partnerships competing in this category Hannah Winter and Jasmine Banks, Finley Doubleday and Grace Crowley, and Lowri Hegan, Amy Farbrother and Poppy Chance. Each partnership in this category performs a combined routine which contains a mix of balance and dynamic elements. Women’s Group Lowri, Amy and Poppy performed a cleanly executed routine with an even greater level of confidence in the dance than they had shown when they had finished in the top spot in the qualifiers. They were rewarded with FIRST PLACE, truly deserved given the high level of effort they demonstrate consistently in training. Immediately following the trio, Women’s Pair Hannah and Jasmine took to the floor. The girls had qualified in first place thanks to a very high standard of execution in their first routine. Showing great consistency despite the pressure of expectation, the girls performed even better, securing a thoroughly deserved FIRST PLACE in the Women’s Pairs. 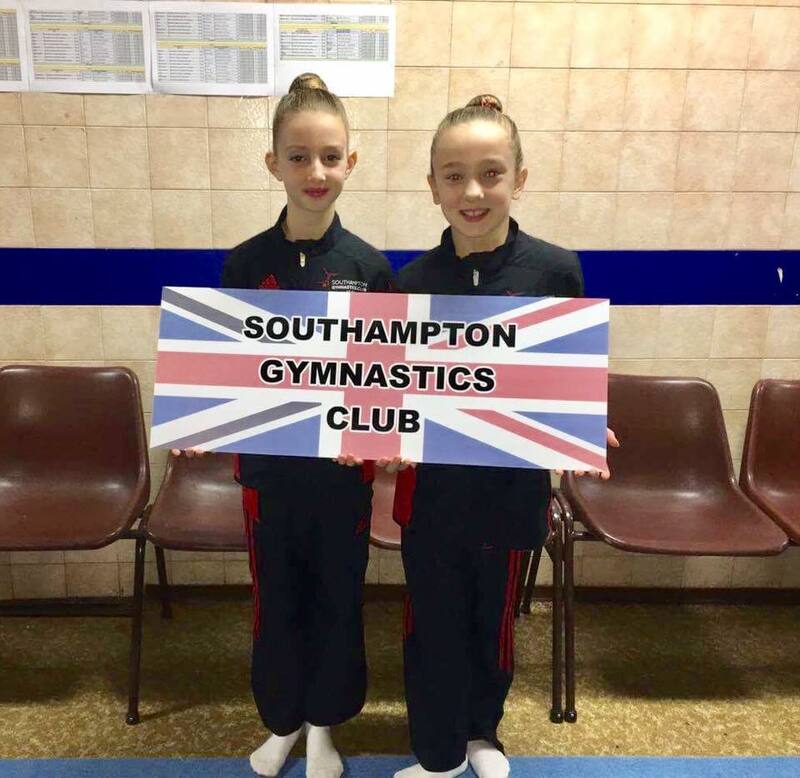 Next to compete for Southampton in the Mixed Pairs category were Finley and Grace. This partnership have always shown a high level of artistry in competition and this performance was no exception, they matched their high level of elegance with clean technical skills and achieved the GOLD medal, despite strong competition from Russia. 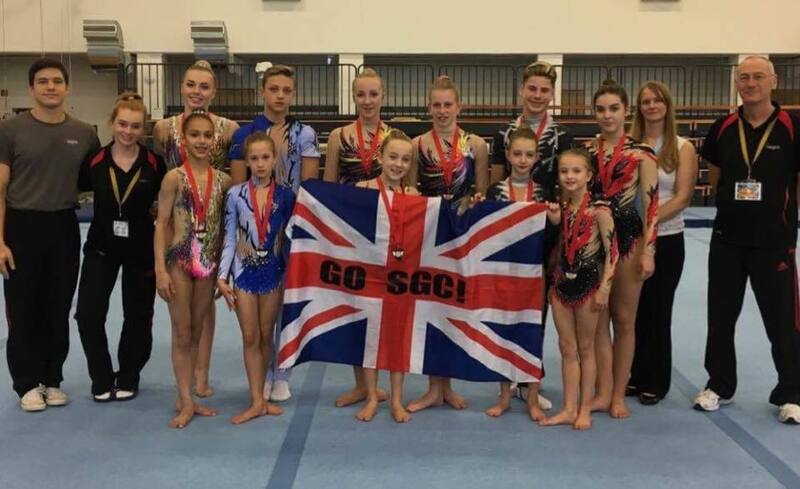 None of the Southampton gymnasts in the Youth category had ever competed in an International before which makes their achievements all the more impressive. The next event was the 11-16 competition. In this event, a balance routine and a dynamic routine are performed in the qualifiers, and a single balance routine is performed in the final. Southampton had one partnership competing in this category, Mixed Pair Sam Yarnall and Lucy Hodgson. Sam and Lucy performed with great poise and a high quality of execution, winning them a SILVER medal, just pipped for the gold by the Mixed Pair from Kaliningrad, Russia. The quality shown in both their balance and dynamic work demonstrates strong potential for this young pair. Our 13-19 Women’s Pair Stephanie Ricketts and Toula Raftopoulou have been selected for the British Team that is competing at the European Championships in Poland later this month. 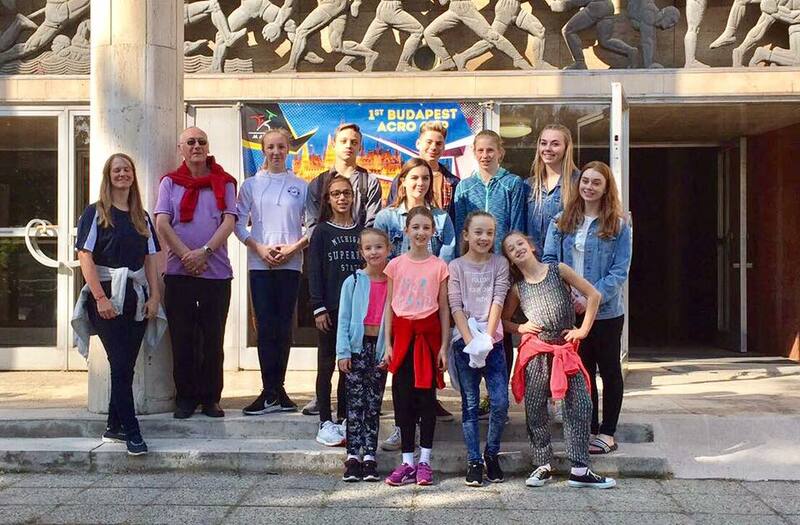 The Budapest International Acro Cup was a great performance opportunity in preparation for this event. Over the two days of competition the girls performed three routines, balance, dynamic and, in the finals, combined. Three impressive routines were rewarded with three execution scores in the 9’s; with their combined routine gaining the highest score of the whole competition, thoroughly deserving GOLD! Thanks to the coaching team that gave up their time to support the gymnasts at the competition and to the wider team that worked so hard to prepare the gymnasts for the event. It was great to have local support at the competition from the parents and thanks must go to everyone who participated in fund-raising activities. 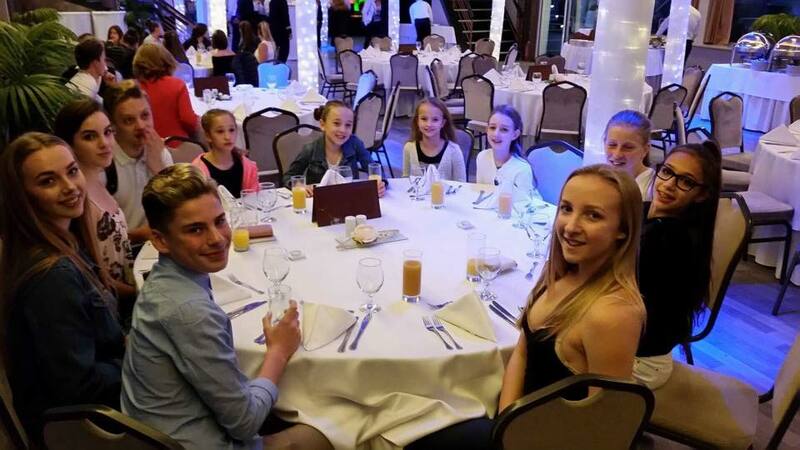 What a fantastic weekend for Southampton Gymnastics Club!